Mumbai, King Khan of Bollywood, Shah Rukh Khan and Deepika Padukone are on the top position in the list of the Times Celebrities. The list of the celebrities of Indian Journal, Times of India is organized on the basis of reputation, general appearance and on the efficiency. 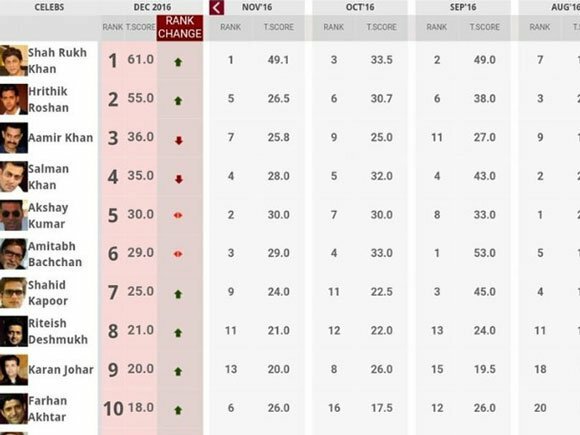 Shah Rukh Khan is on the top with the 61 points and Hrithek Roshan is on the second position with 55 points and Aamir Khan has 36 points and it is present on the third position. 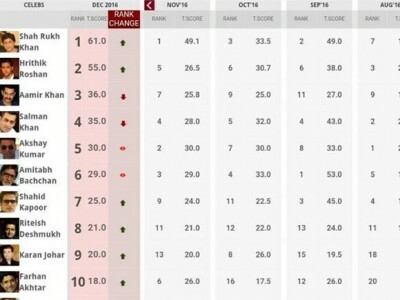 Salman Khan got 35 points and Akshay Kumar got 30 points and they are at the fourth and fifth position respectively. Deepika Padukone is on the top of the list of the female actress without appearing in any movie in 2016. The list of the female artists was developed by Times Celebrities and Yamiy Gautam is present on the second position with 32 points and she appeared in the movie, ‘Kaabul’ and she performed the leading role in this movie. 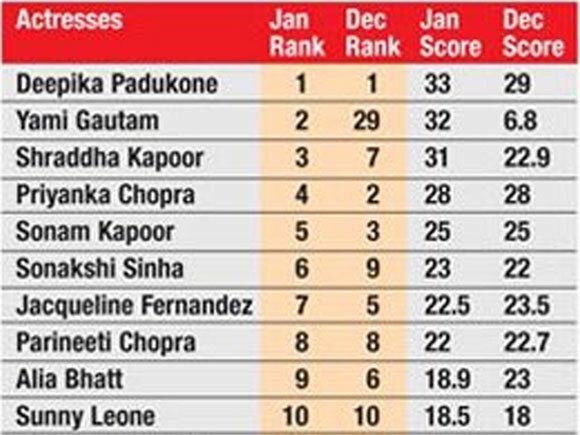 Shraddha Kapoor is on the third position with 31 points and Priyanka Chopra got 28 points and Sonam Kapoor got 25 points and they are at third, fourth and fifth position respectively.